If you’re beginning the search for an engagement ring, choosing a new ring might seem like the simplest route. After all, there are nearly infinite styles of new ring available. 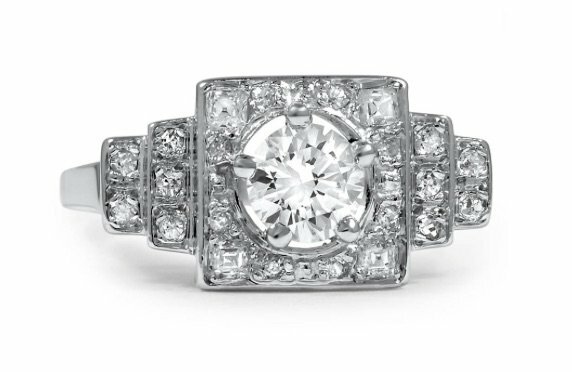 If it’s crucial to you that your ring be every bit as one-of-a-kind as your style and your love, then selecting a vintage design is a wonderful way to ensure that. Our jewelry specialists have hand-selected every item in our collection for exceptional craftsmanship and beauty. Although there’s no way to say for certain that a ring is the only one of its kind in existence, choosing a stunning vintage style such as the Risa Ring is the best way to ensure your ring is truly distinctive. 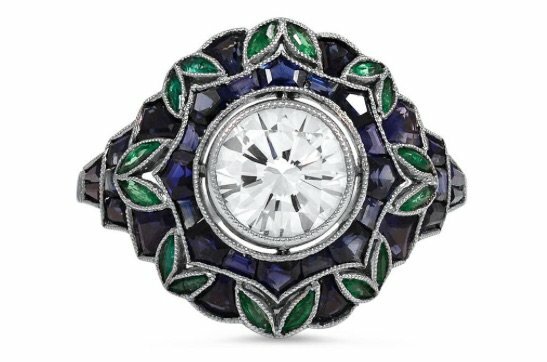 If you’re die-hard fan of Victorian novels or swoon over Art Deco design then an engagement ring from that era will make a very personal style statement and continue to delight you for the decades to come. 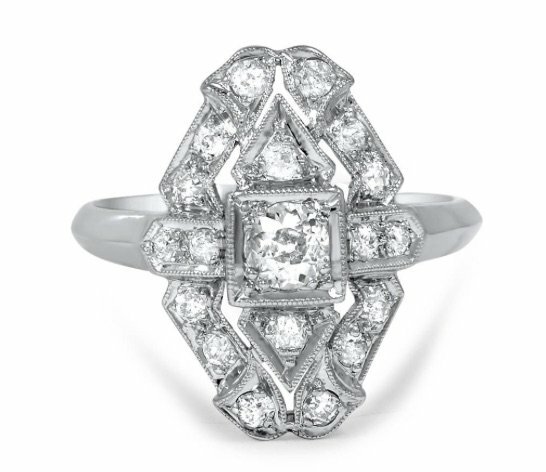 The 1930s Cosette Ring could be a perfect choice for the bride who loves the clean lines of the Art Deco era and the classic beauty of a diamond engagement ring. Couples who are passionate about protecting the planet are often drawn to vintage rings since these recycled items require no new mining. You might find that your engagement ring’s beauty is enhanced by its sparkling eco-friendly credentials (not that gorgeous styles like the Buena Ring need any enhancement). Not least among the reasons to choose a vintage ring is that it’s often a wise financial decision. A ring that has been previously owned is usually priced below new rings featuring gemstones of similar size and quality, making a modern estate ring like the timelessly beautiful Trystan Ring a smart choice. Vintage engagement rings are very much a trend among celebrities and style icons, from Scarlett Johannson to Mary Kate Olson to Penelope Cruz, which makes such rings a fitting choice for women who like to be on the leading edge of fashion. While you should never choose an engagement ring based on a fleeting trend, because vintage rings possess an enduring allure this is one trend that will never go out of style. 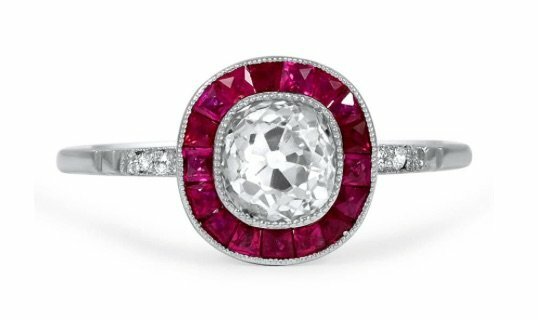 The glamorous Elana Ring is evocative of Scarlett Johannson’s Art Deco engagement ring. 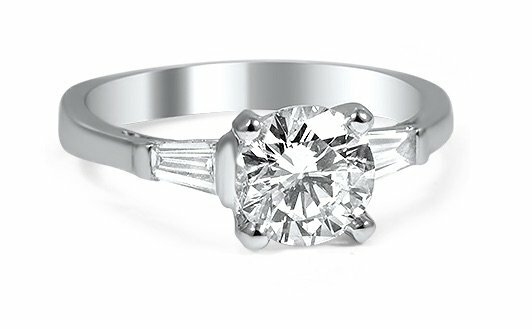 What do you think is the most convincing reason to choose a vintage engagement ring? Let us know on Facebook or Twitter, or in the comments section!